After I cast it can I attach stasis cell to a shrouded target? 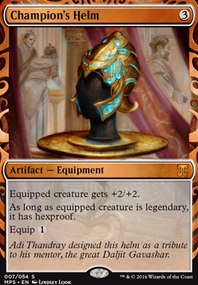 Can I use Venser, the Sojourner to move a Steel of the Godhead onto a Deft Duelist? I think you can go two directions with this deck Option 1: Be more aggressively oriented, really leaning on Seeker of the Way . In that build you would put in delver, more cantrips, probably Augur of Bolas and then run cheap removal like Snap and Sunlance along with Feeling of Dread for spicey tempo. Probably would want to run more basic islands to enable Gush + Foil Option 2: I like this option better, which is keep building around the azorius theme. 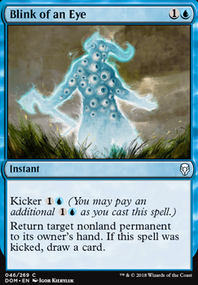 Add Deputy of Acquittals for the nice Spellstutter Sprite impression with removal spells, maybe cut Gush and Foil or run fewer because they make the mana awkward, maybe play Steel of the Godhead . Still don't love Deft Duelist or Lawmage's Binding in this version because they're a little too slow, I liked Curse of Chains when it was in though. U/W Control is one of my favorite decks. I agree with Remand. It helps against bigger spells they play to delay your opponent, and the draw card addition is great. Serum Visions would be good as well. Perhaps a Gideon Jura instead of the Deft Duelist. If I have Venser, the Sojourner on my board, along with a Deft Duelist, any other creature and a Steel of the Godhead on the other creature, can I use Venser's first ability to move the Steel from the other creature onto the Duelist? Does the Steel even get to return to a creature at all? The more protection the better! Whenever I say swap, feel free to add. I am just assuming that you want a card with a similar effect and offering cards that I think are better. While I am at it, I swapped Daxos of Meletis for Augury Adept in my commander deck, mostly because it basically has unblockable. If you are running Illusionist's Bracers and Rings of Brighthearth you also want to consider Medomai the Ageless. With one of those, you could take two extra turns!! Come to think of it, you might want to consider changing your commander to one of those two cards. Huh. 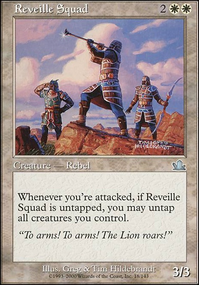 If your detaining stuff use Lyev Skyknight its a really good blue white card for that. I would recommend a Whispersilk Cloak for both hexproff and unblockable, both seem useful for your deck. It does not look to me like you have enough fliers for Pride of the Clouds to be worth it. Unless you are planing on using Dovescape with it. 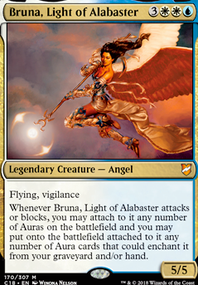 If your looking for a flying heavy hitter I would use Akroma, Angel of Wrath, Baneslayer Angel, Iridescent Angel. If you are looking for something flying related try Stormtide Leviathan. If you are looking for something cheap for use in the early game try Deft Duelist or Judge's Familiar. Deft Duelist can be really nice against those pesky death touch thingers and Judge's Familiar can counter something later in the game. On the off chance that you want to keep pride of the clouds and go for the Dovescape lockdown thing. Throw in a Guardian Seraph and a Godhead of Awe as well as a Lightmine Field. Voila, complete lock down. Also, with your Illusionist's Bracers and Rings of Brighthearth, Admonition Angel is a really good fit. This was pretty much my next big deck build....very nice!! I had written it all out and here it is!!! lol albeit I had some different creature choices the main one being Kytheon, Hero of Akros Flip in lieu of Student of Warfare plus the inclusion of the anthem spells Honor of the Pure @ 4 and the additional Always Watching @ 2. Problem with that is I've left myself no room for the Vials or the DT Spheres OR the Sphinx's Revelation by doing that. I'm curious if you have tested that route and just plain found it to be slow and ultimately not good by comparison to your choices? -Boros Elite gets pretty beefy too the more humans that follow the charge! -Knight of the White Orchid land!/first strike! -Frontline Medic boardwipe insurance for the army that fights together!!! 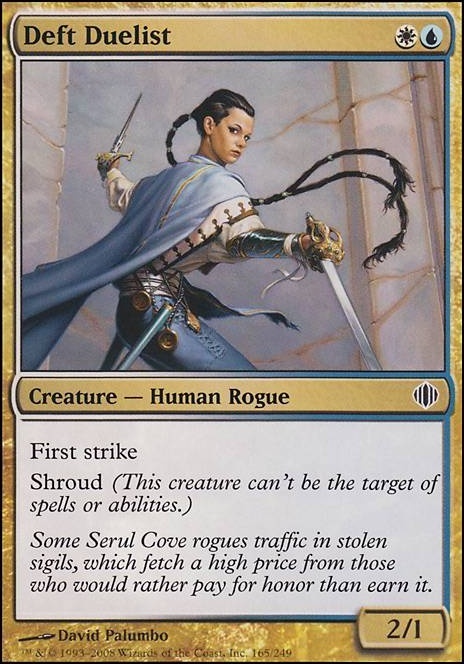 The last one understandably is not tribal but her abilities to slow down opponents are valuable my only counter to it right now is it has a demanding 4-cast expense on a curve that tops off very efficiently at 3. I'm passionate about this deck type and really love humans in these colours. White and blue has always been my favourite colour combo and I use it frequently with either green or red to make jeskai or Bant. Sorry for the word-y post getting to the bottom line of the preamble now with saying I definitely +1 this deck and if I could, +2 for humans and this deck design I so would!!! An extremely heartfelt thank-you for building this and reading this! Sky Spirit is not modern legal. Swap it out for Ascended Lawmage it is better anyways. If its the first strike you are looking for try Deft Duelist . You probably want to hit edit and change deck type to commander so it doesn't say your deck is illegal. While I am at it, I will pelt you with some of my personal favorite U/W cards I know of. Like Daxos of Meletis. Since your using blue and white together, you have to make use of the blue and white cards as they are generally better than mono-colored cards. Let me see here. Air Elemental is outdated, try Pristine Skywise instead. Its WAY better for one more mana, and you can be invincible when you cast! I love Sphere of Safety but your deck needs to be well near 80% enchantments for it to be worth it. Dissipation Field is more up your ally. People wont attack you when they know there creatures get sent right back. Other than that, your well on your way! With the number of flying creatures you have, its worth noting that Stormtide Leviathan can mean you win the game. So if you add anything, this and Wall of Denial are your two best bets. If you have any questions, white and blue are my favorite colors so hit me up! 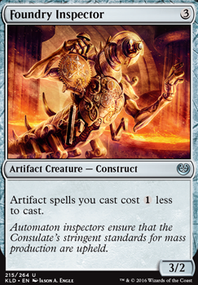 Ihazadeck, I could see being able to outrace affinity with it, human decks are some of the faster decks in Modern when they have the right pieces. I wasn't trying to imply your deck was slow, I was just trying to make a comparison between the 2 shells. Mine is more of an all-in aggresive strategy, while yours sacrifices some potential speed for some elements of midrange/attrition, which can help you pull out games that go longer that my deck would probably lose to. 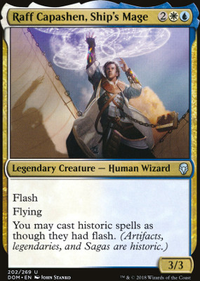 Also, Lead the Stampede seems like a great card in there, I actually was looking into Blue/White Humans, splashing for Mass Appeal and Deft Duelist, it also gets access to counterspells and Meddling Mage in the sideboard.